NetApp distributed content repositories can help manage big data intelligently across geographies. Content is growing fast, and objects that must be stored are increasing in both size and lifespan. To help meet this challenge, NetApp provides content-repository solutions with data scalability, enterprise reliability, and object management. You can download the new Forrester Total Economic Impact™ Study Prepared For NetApp. The NetApp Distributed Content Repository solution leverages the metadata capabilities of NetApp StorageGRID software to distribute data to the most appropriate physical location, minimizing latency. The E-Series storage systems feature ultra-dense disk drive and shelf technology to reduce space requirements and power and cooling costs. Store petabytes of data in a multisite, global object namespace. Reduce opex while meeting corporate, regulatory, and user requirements. Reduce infrastructure size and complexity and simplify administration. 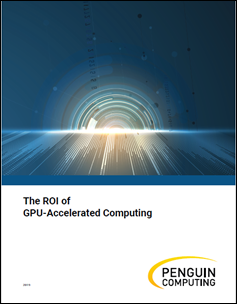 Download this white paper from the insideHPC white paper library.